Well I should have posted this aaaaages ago, but have had trouble accessing my Blog. Seems to be sorted now. I was amazed and thrilled to be asked by Jackson's Art if I'd like to contribute a blog page to their Guest Artist Blog. Would I? Do plants need sunlight? LOL It took a while to get the photographs of my work to a standard to be digitised, and then of course there was the write up. But I got there, and now my work is published on the Jackson's Art Blog in the guest artist section. So you didn't see it here first folks, as you should have, but you did see it here at last. Off now to work on one of my Diploma pieces, and hopefully not have to start again - again! Congratulations!! 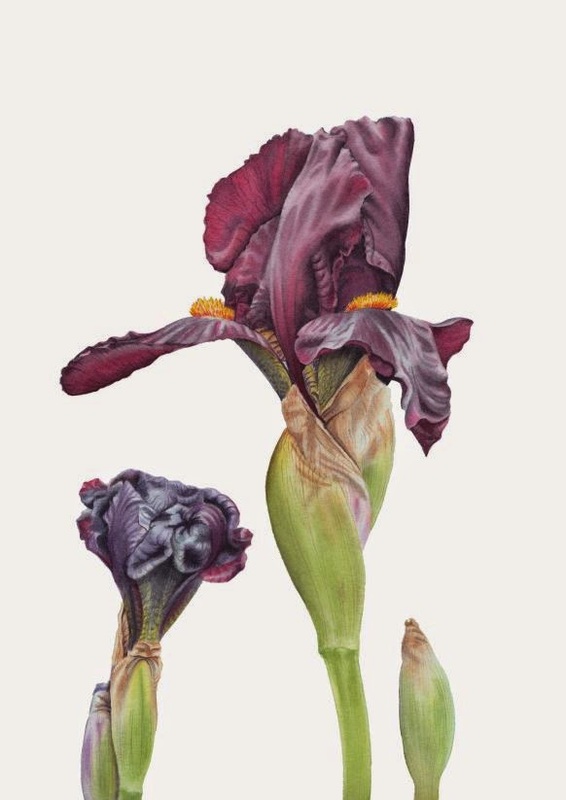 The iris is stunning--I am glad that so many will have the opportunity to enjoy your fantastic work. Thank you, you're too kind Janine.